History Undressed: Check Out The New Medieval Mistletoe Release!!! 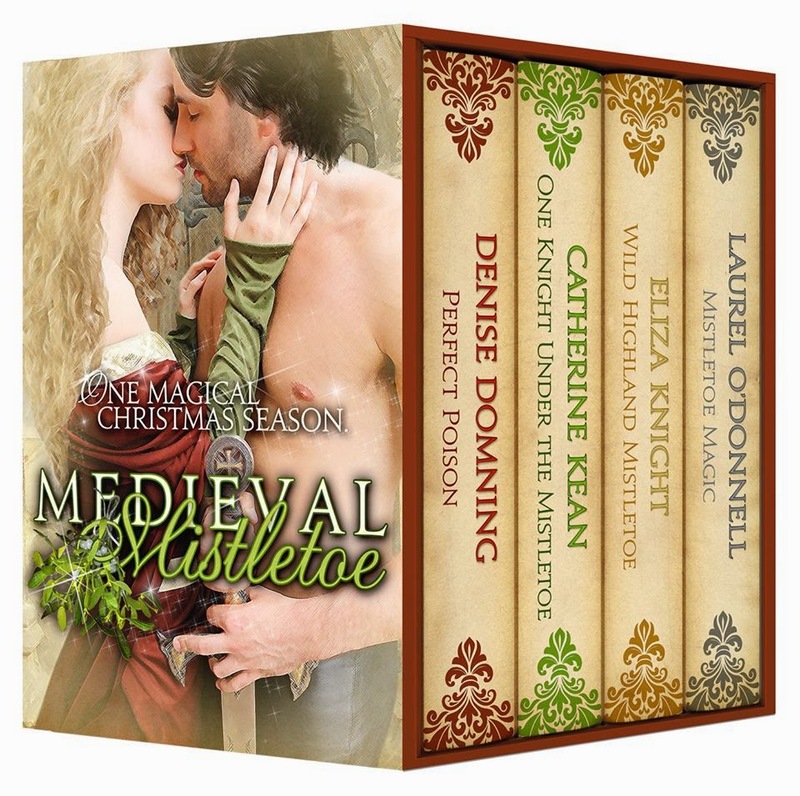 Check Out The New Medieval Mistletoe Release!!! Available Now! MEDIEVAL MISTLETOE, an anthology of four all-new, thrilling and heartwarming medieval romance novellas. It will include my story, WILD HIGHLAND MISTLETOE plus novellas by Catherine Kean, Denise Domning, and Laurel O'Donnell. A week before Christmas, snow falls gently on the Highland hills, and once more an adventure awaits the Sutherlands! Dunrobin Castle is overflowing with excitement and holiday spirit because of the upcoming Sutherland clan gathering. Arbella's and Magnus' marriage has flourished, their passion and love growing stronger daily. But when a mysterious missive arrives begging Laird and Lady Sutherland for help in a rescue mission, they leave the safety of the castle, and ride headlong into a trap. Will they thwart their enemy and make it home in time to celebrate the holiday season in good Scottish fashion? Or will warring clans prevail? suspicious of Ren's reasons for spending Christmas at her sire's castle. Lord Jocelyn of Freyne returns from war in France injured in body and spirit to face Avice of Lavendon, the bride he spurned the previous year. Angry and hurt, Avice wants nothing to do with him. It will take more than a love potion spiced with Mistletoe to bring them together. A confident knight arrives home to find his childhood friend grown into much more then he remembered. The lady of the castle keeps a dangerous secret that threatens all she holds dear. Will Mistletoe Magic save them? Happy Thanksgiving from History Undressed! Release Day! A DAY OF FIRE is finally here!! !